Maroon Creek Road is a great venue for the intermediate to advanced cross-country skier looking for a long excursion and some of North America’s best views. 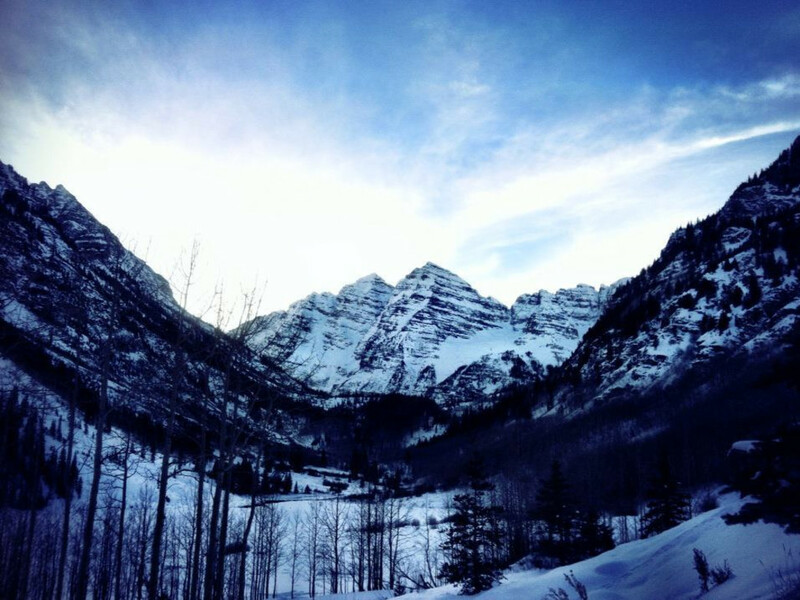 Skiing the full six miles from T-Lazy 7 Ranch yields epic winter scenery of the Maroon Bells, one of the most photographed mountains in the country. Many skiers will even pack a picnic lunch and enjoy it at the Bells. The grade along Maroon Creek is very slightly uphill, so skiers will want to conserve their energy if the have it in mind to make it to the Bells. As you ski up the valley you’ll be awarded and motivated by views of the unmistakeable 14,000-foot-plus Pyramid Peak. The Maroon Bells will come into view around kilometer marker 7. You may notice downed trees avalanche paths on either side of the valley; in some occasions avalanches can cross the road. Cross-country skiers should be aware that they are in avalanche country. 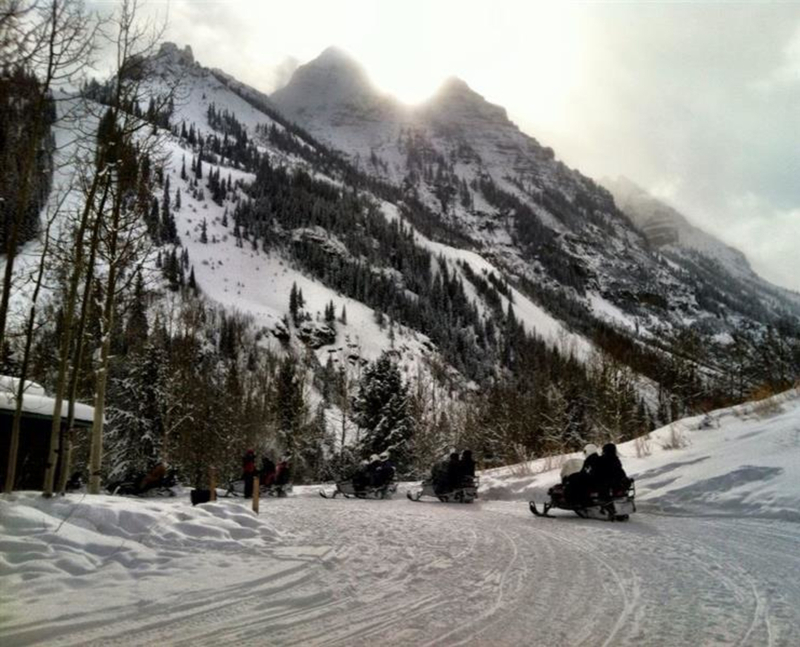 Maroon Creek Road is a multi-use trail in the winter, you’ll likely come across snowmobilers, horse-back riders, horse-drawn sleighs, dog hikers and even fat bikers. This full day cross-country excursion with some of North America’s best views makes for one unforgettable day for a true outdoorsman or outdoorswoman. Experienced intermediate to advanced cross-country skiers will enjoy the ski to Maroon Bells the most, but those who are acclimated or in good physical condition will also find this ski quite do-able and very much worth the sweat equity. Take Highway 82 .5 miles west of Aspen to the roundabout. Go around the roundabout and turn right onto Maroon Creek Road. The road is closed in winter at the T-Lazy 7 Ranch. There is adequate parking just past the Ranch. Dogs should be kept on a leash on Maroon Creek Road, but especially around the Ranch as there is livestock.